Indoor Kits feature a 900 μm Fan-Out Assembly that is color-coded to match the fiber color scheme. 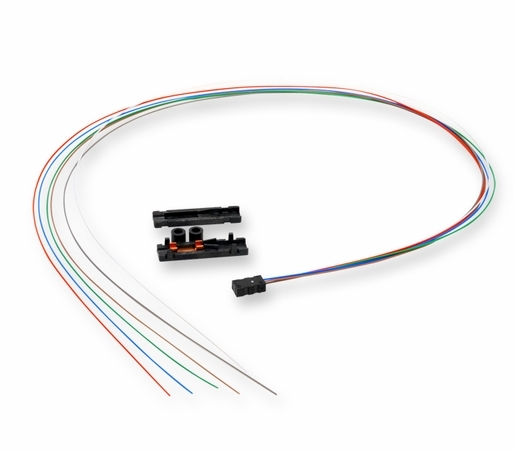 The Fan-Out Assembly is available with 6- or 12-fiber units in lengths of 0.6 m (25-in) or 1.2 m (47-in). These different lengths provide the installer the flexibility needed for a variety of hardware options.